Sveiki atvykę į mūsų laikrodžiai ir dovanų parduotuvė! 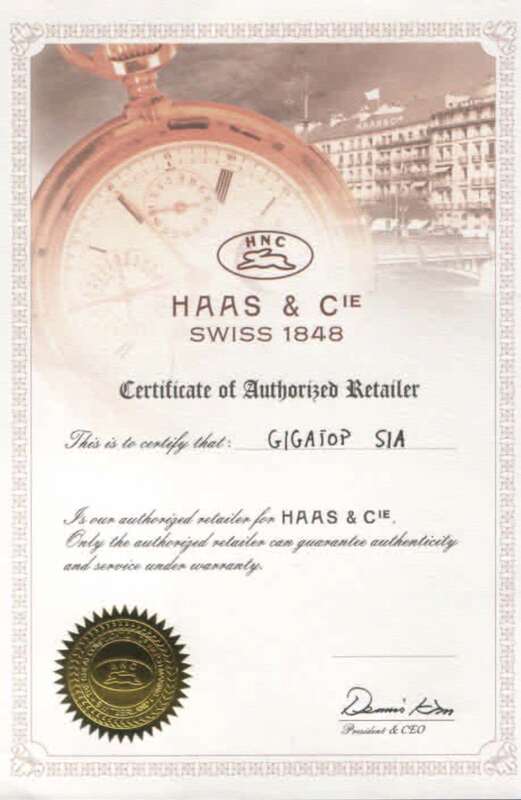 As authorized representative we offer several brand-name wristwatches. 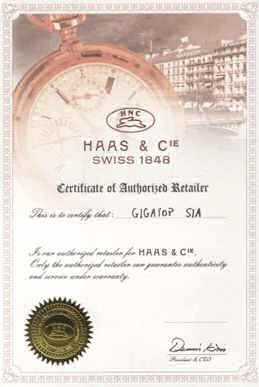 Haas&Cie – one and a half centuries old in Geneva established Swiss watch brand, as well as younger Casio, Fossil, and Firefox, Yves Camani designer watches. In our store you can buy in Switzerland produced watches, watches with Swiss movements, most watches have hardened crystal glasses, some sapphire crystals, most watches are composed from the best stainless steel. Watches have quality gold plating, some watches have zirconiums, Swarovski crystals, some also sapphire, ruby, emerald and dials from mother of pearl.